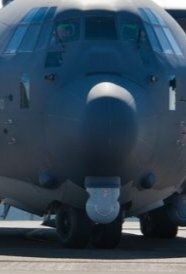 I would like to know if there are limitations for flight in icing conditions with a FLIR turret under the nose ( like on photo for exemple). I am unaware of any icing limitations, I would have to dig through ops manuals to see but i can say that some models have window heaters that prevent ice build-up that could block the camera. Thanks a lot for your answer "Hehe". My concern is with potential significant ice accumulation under severe icing conditions and potential flow "disruptions" in front of lower pitots tubes (static pressure error ?) with AoA for exemple. 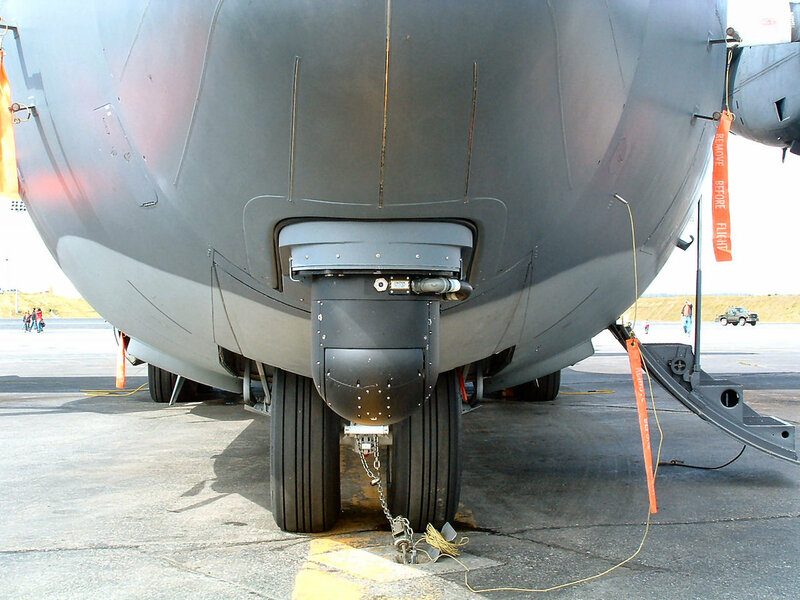 I have worked many C-130s with FLIR and never seen accumulated ice on them, especially not enough that would alter airflow. Of all the designs, the one you pictured is one of the smaller FLIR designs. Have you seen the MX-25? Huge FLIR, and they are operating that on the C-130J which has dual pitots on both sides of aircraft. Is there a problem you are seeing that you think is caused by ice build-up on FLIR? It's been 51 years since I've been on the B-model, but I don't think that's a B-model with the Rosemount pitot system and the LOX service door. Just picking a nit here. Nice pic, though. It looks like an N-model, def not a B-model for sure. Maybe he meant nice "P-model"? I'am working on a similar project and the FLIR internal heating capacity does not guarantee deicing. Consequently I inquire about this aspect knowing that the lower pitots are behind. I don't know that it was ever designed to completely de-ice. I believe the heating is only there to prevent the image from being obstructed. There are plenty of models that have no de-ice or heaters built in and they work fine. I believe the original picture you posted is a model without heating. Do you have access to DTIC? I find a lot of good reports on that site and it might be a good place to look for this. Thanks Hehe. I don't know DTIC ? It's a data base? The picture of FLIR is from google, just to illustrate my question. DTIC is where all Air Force Research and test reports get databased. Ill do a search and see what I can find. Is there a certain model of FLIR that you are looking at? Thanks for your answer. I am looking for the type MX/20.